Rashtriya Janta Dal (RJD) supremo and former Bihar Chief Minister Lalu Prasad Yadav, on 20 October, said that he hopes to give BJP a political death in the ongoing Bihar elections, as a Dussehra gift. "Dussehra is the festival celebrated to honor the killing of the demon army. We are going to do the same by ensuring the BJP's defeat in the elections. You can already see the Prime Minister changing his posters everywhere in a hurry. Amit Shah is seething with fury. 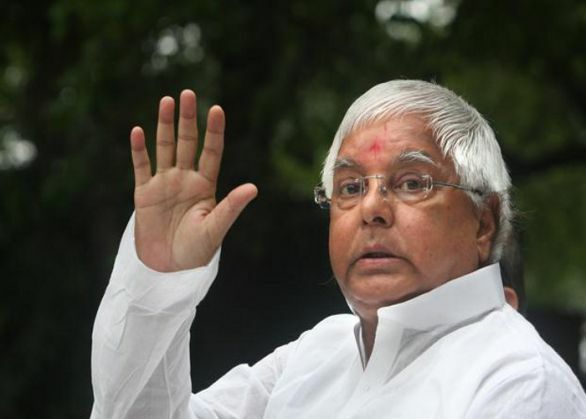 It will be their 'political death' in the Bihar elections," Lalu told the reporters. Reacting to the ink attack on Jammu and Kashmir independent MLA Engineer Rashid, Lalu said the entire incident was the 'agenda of the BJP and the RSS'. Lesser known right wing group Hindu Sena on 19 October claimed the responsibility for the ink attack on Engineer. Engineer dubbed the ink attack on him as 'undemocratic' and said this showed the ugly face of the radicals in India.